The Anthony Nolan Trust is a UK organisation with an excellent website with downloadable information sheets for patients and carers about all stages of the transplant journey. See anthonynolan.org. 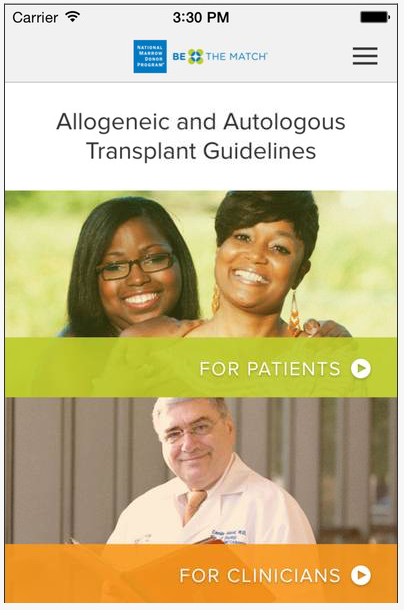 There is a downloadable app for Android and iOS with useful information for patients and physicians. Search for National Marrow Donor Program. Survivorship guide for bone marrow/stem cell transplant – coping with late effects by Keren Stronach. This booklet is sponsored by the National Marrow Donor Program and the American Society for Blood and Marrow Transplantation. While intended for a North American readership it has many useful sections and links useful for a international audience.